The shapes of Planetary Nebulae are spectacular, sometimes they look like donuts, sometimes like rings and sometimes they even look like an eye. About 1000 planetary Nebulae have been catalogued. Each is unique like snow flake. Early observers viewed the night sky and saw these fuzzy disk shape. They thought these fuzzy shapes were planets, so they called them Planetary Nebulae. The planetary Nebulae have nothing to do with Planets. The Helix Nebula or NGC 7293, is a large planetary nebula. The Helix Nebula is located in the constellation Aquarius. Karl Ludwig Harding discovered it probably before 1824 because it is one of the closest Planetary Nebula to Earth. It is located about 700 light-years away. The Helix Nebula contain cometary knots. There are more than 20,000 cometary knots expected to be in this Planetary Nebula. A planetary Nebulae is a gaseous Nebula created by the death of a Sun like Star and when a sun like star dies, it ejects its outer layers in space and its really hot core makes the Nebula glow. This core will eventually becomes a White Dwarf. This hot core is a shell of expanding gas. As astronomers study Planetary Nebulae, it was found that these shapes were more complex than previously thought. 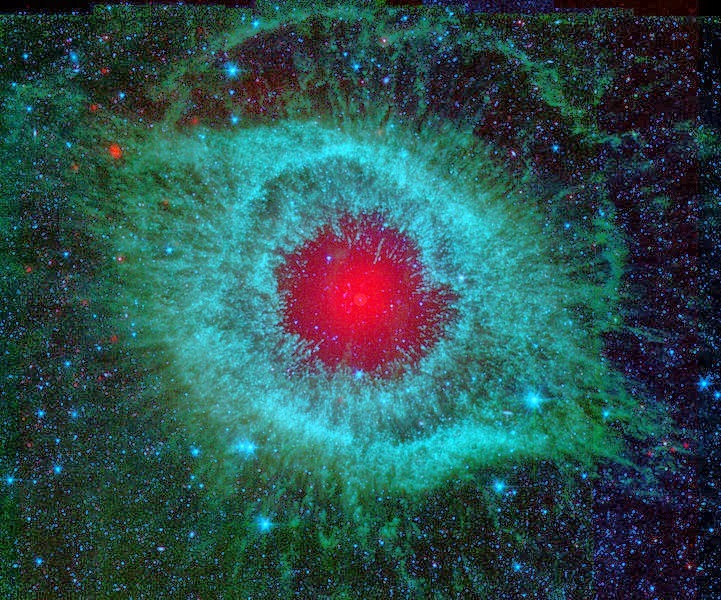 A team of astronomers used the Hubble Telescope to explore the Helix Nebula. Helix is a wonderful candidate of studying Nebula because it is so close to earth that astronomers can study its intricate details. Ground base observations have shown a spoke like pattern in the Helix. 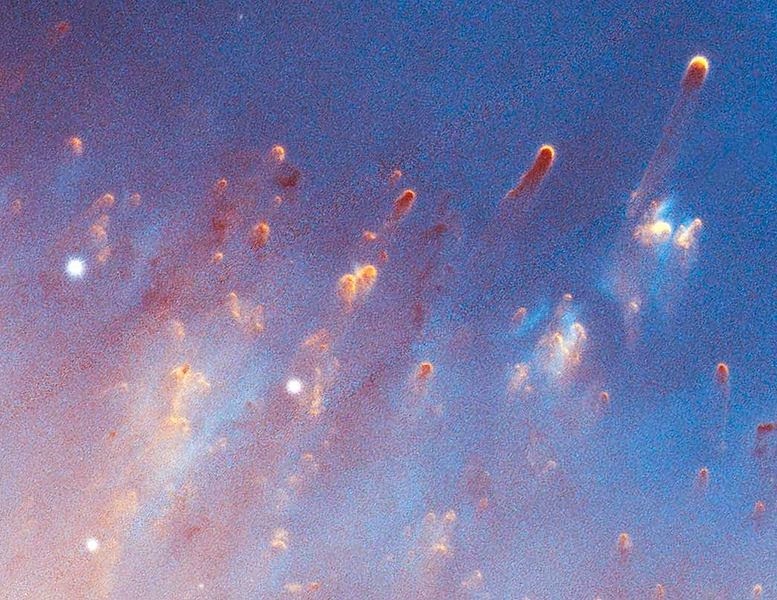 Hubble showed finger like pattern along the inner edge of Helix Nebula. The team of astronomers pulled the data from many observations made by variety of telescopes to get a clear picture. Astronomers constructed 3D model of Helix Nebula by combining different observations from different telescopes. In this model two discs are visible, an inner and an outer disk, almost perpendicular to each other. This enhanced model has also led astronomers to new puzzles.